Pitha is a part of local culture in Bangladesh. And the Winter season allows people of the country to taste different types of Pithas (Cakes). Though the country has a tradition to make pithas round the year, mostly they are enjoyed during the winter. 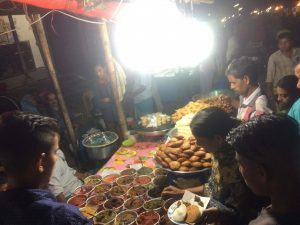 Certain areas of the country and capital become the heaven for the pitha lovers. The pithas are made with ordinary elements like flour, milk, coconut, molasses, banana, meats etc. Some of the pithas are steamed while some others are fried with oil. The tastes may vary because some pithas are salty in taste due to the presence of salty ingredients. And some of the pithas are sweet for the sweeteners applied during the preparation process. Due to texture and making process, some of the pithas are very soft while some others are hard to eat. Often people take different types of smashes to increase the taste of the pithas. The pithas also have nutritional values. The pitha making ingredients contain carbohydrate, protein, magnesium, iron among others. 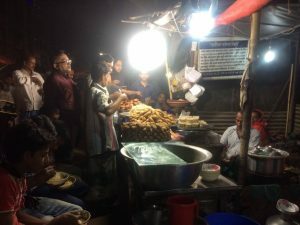 So, the pithas have attracted attention from every quarter of the people. 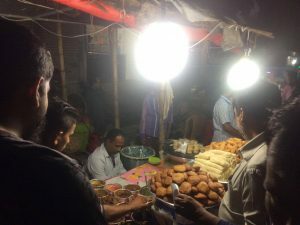 And people crowd at the local pitha selling outlets to grab their share. A dish filled with warm pithas will remove all the stresses of the day.